ek bhai raha—to ohi chut geil, baap ke sanghe. ta oke ka malum he ke thagle hamke? clean of caste and kin. Published in various journals and the author of two chapbooks, na bad-eye me (Pudding House Press 2010) and na mash me bone (Finishing Line Press 2011), Rajiv Mohabir earned his MFA in creative writing and literary translation from Queens College, CUNY. 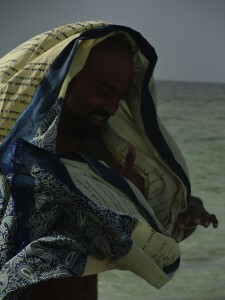 Presently he is pursuing a PhD in English and creative writing at the University of Hawaii, Manoa.